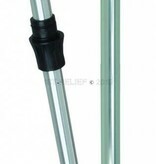 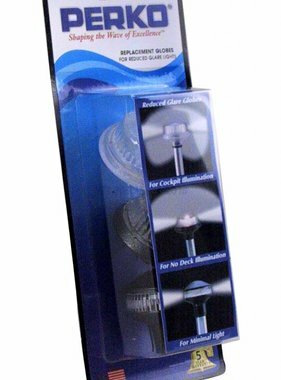 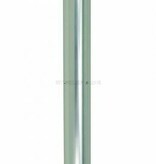 Pole length & type: * Straight Pole, 36" Straight Pole, 48" Fold in half Pole, 48" Fold in half Pole, 60"
Product Description: A reduced glare globe preserves night vision while under way. 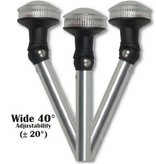 Adjustability of the globe allows for proper horizontal alignment regardless of base configuration. 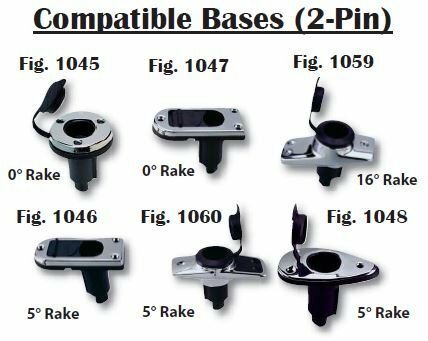 Universal Fit - DP Packaged light includes two collars and provides two key slot screw positions so that the Omega Series fits more popular bases than any other light on the market. 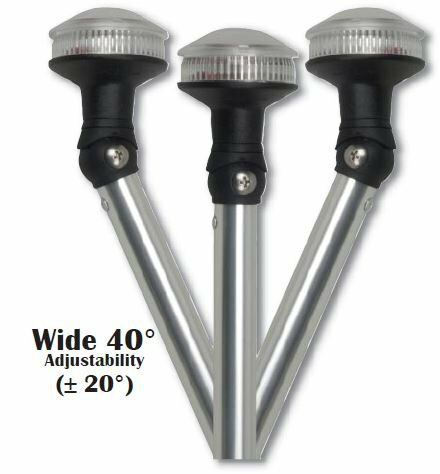 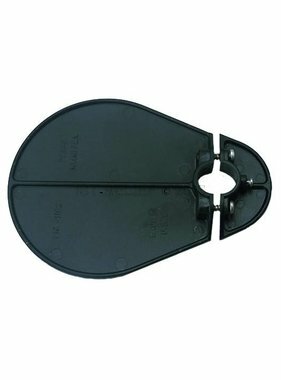 Universal Angle - The big 40 degree (±20°) tilt range of the Omega Series can be easily and widely adjusted. 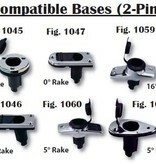 This allows Omega Series lights to match all other popular base angles. 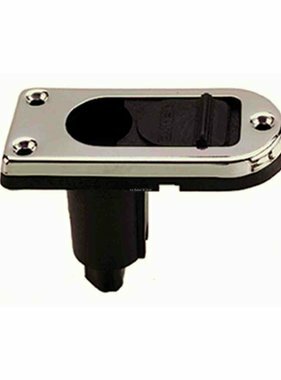 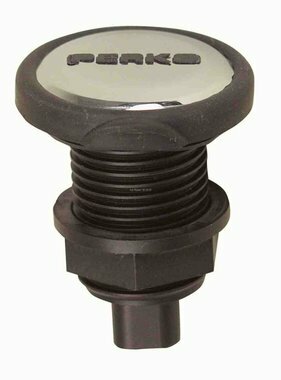 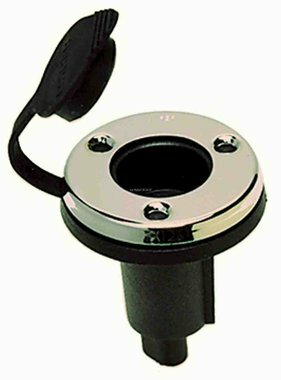 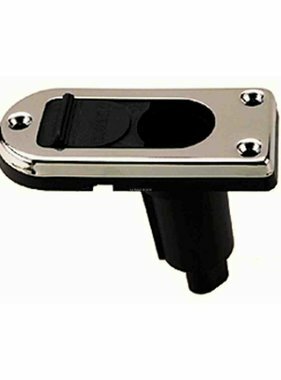 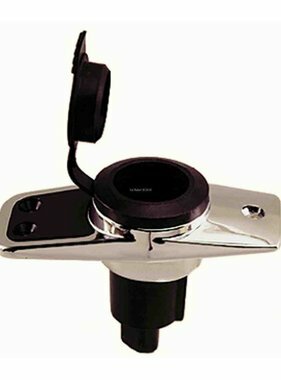 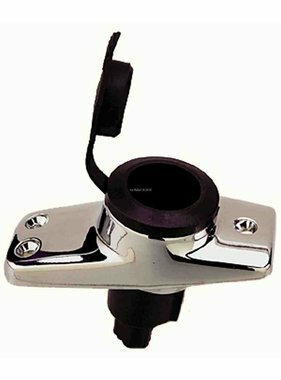 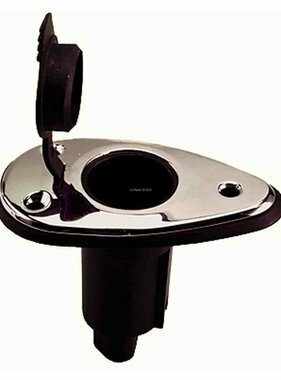 In addition, the Omega Series lights can be adjusted even further to match most custom bent pole applications supplied as original equipment on many boats.